The most wonderful time of the year is finally upon us. From the new Starbucks holiday drinks to the Christmas lights adorned on almost every tree within eyesight, it practically feels like it’s winter break already. But before 2017 ends and 2018 begins, there’s so much in Austin you can do now. Featuring sing-a-longs, ballet performances and more, there’s something here for everyone to enjoy. If you’re a fan of Christmas lights shows and delicious coffee, this event is for you. With a breath-taking one million LED lights, Mozart’s Coffee Roasters will immerse you into the holiday season with a lights show rivaled by few others. And along with their twinkling images of the State Capitol and Christmas trees, this show also features local chorales singing carols and fresh coffee served in countless different holiday-themed flavors. If you’re interested in more information, just check out the Mozart Coffee Roasters’ website here. Especially if you’ve celebrating with family or younger siblings, this event is a perfect way to spend the first weekend of December. Along with stations to make ornaments, gingerbread houses and holiday cards, this event also features a petting zoo, holiday-themed carnival games and round-the-clock music from local Austin musicians. But the hallmark of this event is almost certainly the annual lighting of the Capitol Christmas tree. So, if you want to learn more about the city’s holiday stroll, click this for more information. There’s nothing quite like the sounds of the Austin Symphony playing resounding melodies and incredible harmonies. However, if you, like most college students, are not interested in emptying out your bank accounts to hear them play at their annual holiday concert, you can still experience the ambiance of a holiday concert for free. Starting December 2nd and going every weekend until the end of 2018, the orchestra will be playing excerpts of their renowned holiday classics for free around the city. And for specific locations and times, just click here. But if you’re looking for a little more pomp and circumstance during your night-on-the-town, the annual production of the Nutcracker might be for you. Featuring everything from the classic Tchaikovsky tunes to the elegant grandeur of the Nutcracker Prince and Clara Silberhaus, it’s a performance that you truly won’t want to miss. And because the Ballet has matinee and evening productions nearly every weekend of December, there’s no excuse not to go. So, for more information about the performance of the world’s best-known ballet, click here. And lastly, the Zilker Park Trail of Lights. If you only go to one event on this list, this should be the one. 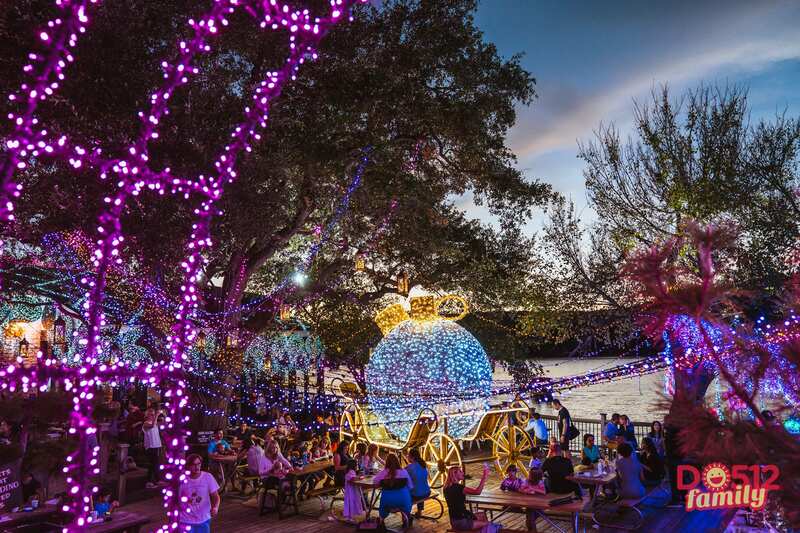 Not only does it feature Austin’s favorite food trucks, nightly entertainment and exciting holiday activities sure to create treasured memories, it also features a stunning display of over 2 million lights. The 40+ gorgeous displays at this event will be sparkling from December 9th until December 23rd and admission on most of these nights is free. For more information about Austin’s number one holiday event, click here. Posted in Campus Culture and tagged 2017, atx, austin, christmas, concert, december, holiday, lights. Bookmark.